While the images have been spread far and wide, the photographer’s identity has not. Until now. 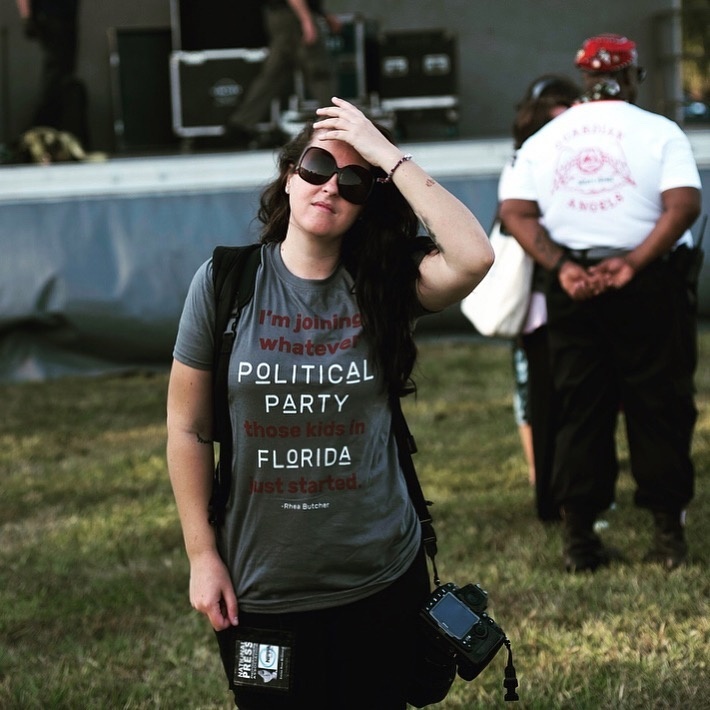 Emilee McGovern is the photographer who photographed the pair of Stoneman Douglas students after a rally just days after the event. She posted the photos to her blog after the event and from there, versions rocketed across the internet, finding their way to news services and social media accounts. McGovern is proud of the reach that the photos have gotten, but has conflicted feelings about being the photographer behind it that no one knows. She describes her entry into journalism as “less of a choice and way more of a calling.” She believes strongly in what she’s doing and the work around the movement, but voiced concerns about how the photos were being used. Florida-based photojournalist McGovern has spent the last month diving full-force into coverage of the #NeverAgain movement, following the young students all the way to Washington D.C. for the March For Our Lives. Her Instagram feed and Twitter posts are a chronicling of almost everything that’s happened around these Stoneman Douglas students since the shooting. It’s powerful work. McGovern added that no one has contacted her to license the images. 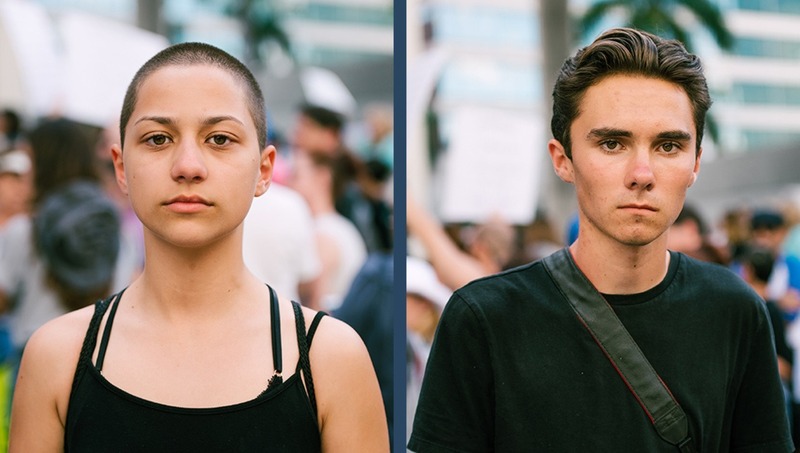 The only people who have permission to use them on their social media accounts were González and Hogg, according to the photographer. “Don't get me wrong, having your photos kind of run off without you can sometimes feel somewhat disheartening. Like you're no longer a part of something that you actually are a huge part of, this thing that you've dedicated your life to. I think any photographer who's ever had this happen to them can relate to that," McGovern said. This is not unlike what’s happened in the past, when photos reach well beyond the photographer’s control. For a close modern analogy, take the case of Shepard Fairey’s “HOPE” poster of Barack Obama, which was cribbed from a photo by AP photographer Mannie Garcia. How Did She Get the Shots? Photojournalist Emilee McGovern at a #NeverAgain rally. Photo by her father, Francis McGovern. You don’t often see portraits at rallies. Usually you’ll see the speaker standing behind a podium. But McGovern said she wanted to do something different, and so after hearing the two students, who were then not as known on the national stage, speak at the school, she decided to ask them for a portrait. She wanted something candid without posing or coached expressions. While the sun was up that day, she found an awning to photograph them under and used her Nikon D810 and 70-200mm lens at f/2.8. She said that there were five other journalists waiting to speak with the students, and so time was short. McGovern explained, though, that she was able to make a connection with the students in that small window. For more of McGovern’s work, check out her Instagram and Twitter feeds, or visit her website. Images used with permission of Emilee McGovern. More power to her in the pursuit of Photojournalism...an amazing and honorable field. As a photojournalist one of the standards we work to uphold is objectivity. You can argue that point all you want but it is a goal and a hope for our field to achieve in the coverage of news. One aspect of that is not wearing a campaign shirt in support of the subject you are reporting on. If so, then you should be considered Public Relations and not Photojournalism. Avoid political, civic and business involvements or other employment that compromise or give the appearance of compromising one's own journalistic independence. Fair point on photojournalism and objectivity. I would argue however, that a photographer with a specific bias or a clear social stance on a topic that they wish to tackle with visuals would be considered a "social documentarian" rather than a PR representative. 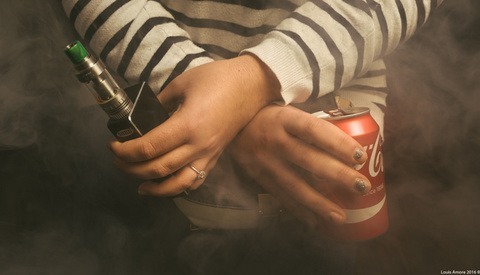 Social documentary photographers can still be held in high regard. To be fair, given the current atmosphere around these types of events that often results in photographers becoming targets of violence, it might also make practical sense to dress as a supporter of the cause (assuming that this group represents the majority of people at the event) even if you're not just for for safety reasons. Not saying that's the case in this story, but it is something to consider if you're planning to photograph protest events—particularly events with minimal law enforcement presence to intervene in the event that someone feels threatened by you pointing a lens at them. Also, there are certainly instances where you might have to act a certain part in order to capture the "real story" that might otherwise not be revealed to someone that looks like an objective observer. So while it is probably ideal to maintain the facade of objectivity (I don't believe there is such thing in practice.) for professional (and potentially ethical) reasons, I would say that if your goal is to uncover and record the truth, don't let such rules hang you up from doing what you need to do to capture the story accurately. I get what you are saying, but part of photojournalism is to capture events as they happen. Once you put on that shirt you change how people react to you. You aren't capturing the true expression of someone or their true motivation if they see a friendly face wearing their shirt. You become a friend of the cause and you alter the reaction. That's not to say that wearing neutral clothing and holding a camera won't also illicit a response; however, how the subject reacts to a neutral press is actually an aspect of the story. It is telling of the mood and mentality of the people at the event, rather than a manipulation by wearing their "uniform" -- The same holds true for wearing the opposing view's shirt or uniform to purposely get a negative response. Anything that you do to manipulate the story, the photos, the video, etc. violates the ethics of journalism. Jonathan makes solid points. Leave the political t-shirt at home next time, and join the NPPA. Concentrate on candid images rather than the subjects looking at the camera. The rally was filled with strong emotion, capturing that provides a better opportunity to have images worthy of being called iconic. Probably the better more story-telling shot is them being crowded by photographers and filmmakers trying to get their picture. We all know what the two look like, can the photographer capture something more revealing ? It can be exciting having pictures published but that in itself doesn't make the images stronger. An average photo on a front page or magazine cover is still an average photo. David Hoggs reddit account got leaked and it sorta makes sense why he acts the way he acts. If the FBI would go on reddit to profile a potential school shooter he would most likely make the list. Hell he even posted a stock photo of some girl holding a gun to her own head and said something about suicide. He has also been frying his brain on adderal for a while now. "David Hoggs reddit account got leaked and it sorta makes sense why he acts the way he acts." Any reputable source for this? Or are we just spreading rumors to smear a high schooler on a photography blog? I asked for a reputable source. There is a link to his actual reddit account on there. He uses his name. He uses his parents name. This so called unreputable source just went through and found his best posts. Unless you are implying that this was somehow created almost a year before the shooting to discredit him? There’s just a link to a reddit account for a davisgreen111 there. That’s it. The account holder never used Hogg’s name, and doesn’t use his parent’s name. That’s just wrong. So no, it’s not a reputable source. Try thinking critically. An account linking to the kid’s video doesn’t make this the kid’s account. If I link to a Lady Gaga video, that doesn’t make me Lady Gaga. Are you that dense? He literally says he is David Hogg in one of the posts. Another one where that account uses David Hoggs name. The second link is a picture posted from the town he lives in. Go down... again he mentions Parkland FL and the guy he mentioned went to that highschool. I'm not gonna keep on going. At this point if you arent gonna just admit that is the same person you are a lost cause. You don’t have to call me dense for thinking critically. I’ll admit you’ve done a good deal of research into whether or not a high school student owns this reddit account. But no, this account holder never says “my name is David Hogg” so you’re either being dense yourself or lying to try to win. You’re right to stop though; it’s pretty sick to spend so much time trying to harm the image of a kid who survived a school shooting. They seem to be handling it remarkably well by my standard. lackluster or not, they are still photos of that movement. hope so is getting paid. I thought "Photojournalist" were supposed to try and be relatively impartial. Shows up wearing an overtly partisan political T-shirt and pretends to be media. I don't really care enough to look her up, but is it possible that she is actually a photojournalist by profession but this particular work was done as her own personal work and not necessarily in a professional journalistic capacity? If so, then it wouldn't be a lie to call her a photojournalist, although it would be somewhat misleading to use the term without further clarification in the context of this story. Yes. This is a pathetic excuse for photojournalism. I have a personal view regarding this issue, but when shooting, try to keep it to yourself. Journalism needs to be accurate at least with the basic facts. Hogg, in a preview of the CBS interview with the four leaders of this movement, states that when he heard about the shooting he grabbed his camera, got on his bike, and hurried the three miles from his house to the school- this from the boy's own mouth. Yet over and over he is presented as a "survivor" as if he were actually there at the time when he is really just a student "journalist" who appeared after the fact. Journalism does indeed need to be accurate with basic facts. Comments like yours on a forum don’t have to live up to those standards, unfortunately. Shame. You’re spreading misinformation. If you supposedly care about the facts, spend the half-second it takes to cross reference your statement, and you’ll learn that Hogg was in the school at the time of the shooting. Snopes is an unreputable source. Did you read the links from the article, including the Redstate redaction and the full CBS video that puts his statement in context? Don’t ignore and condemn all the information from a fact checking site because you found an article that questioned its procedure. The point is that this information about Hogg was proven false, yet still is spread by the misinformed or those that wish to lie to push their agenda. It’s wrong and needs to be called out. Regardless of whatever “side” you think you’re on politically. Wait just a minute, you’re telling me that The Ralph Retort isn’t credible but Snopes is? Snopes is a leftist blog, come Allen try thinking critically! I'm basing credibility on the content and sources presented, not on some arbitrary "left/right" moniker. To that end, did you read the links to the redaction or not? If so, you'd know that to my original point in this thread–the statement that Hogg was not at the school during the shooting–is incorrect. Of course I read the links, some people made a mistake because CBS edited the comment in a way to make it seem there was a discrepancy. I am basing my opinion on a arbitrary view of an organization’s political leanings, and Snopes is not an unbiased fact checker.They are leftist, thus, not having any credibility, as far as I’m concerned. And that is the essence of critical thinking.